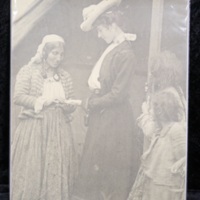 Photographic image of a lady -- in late-Victorian or early-Edwardian dress -- at a gypsy tent. 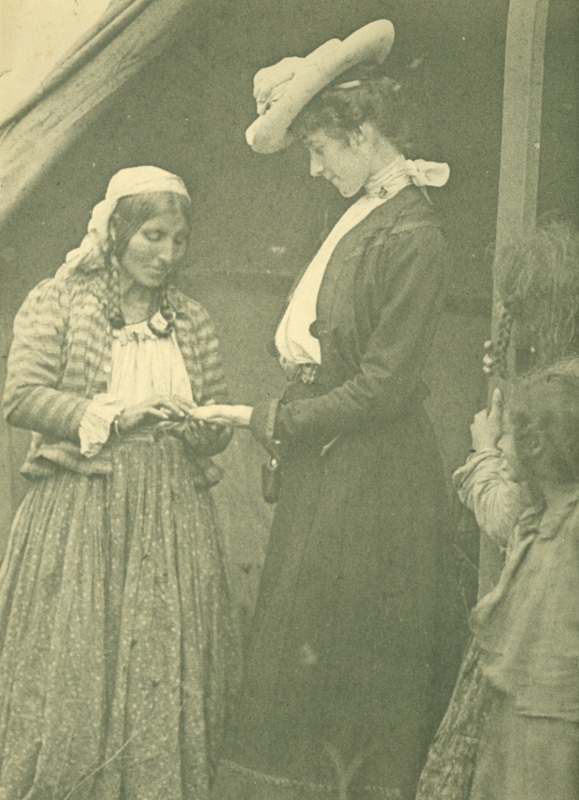 The fortune teller reads her palm while gypsy waifs look on. 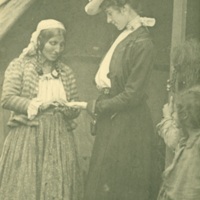 “Palm Reader photograph,” The Skeptiseum, accessed April 21, 2019, http://skeptiseum.org/items/show/420.